Sacred Spark is the compelling true story of a child affected by mercury-poisoning and his minister-mother's decade-long battle to restore the light in his eyes. It is also the inspiring story of Reverend Sykes' work with the United Methodist Church to pass the first global resolution advocating the elimination of mercury from medicine, a nascent social justice movement on par with historical faith-based campaigns against child labor and slavery. With pragmatism and compassion, Sacred Spark calls for putting the well-being of children first. Through Sacred Spark's unflinchingly honest, first-person account, parents and physicians demanding safer vaccines will find clarity to support their informed choices as well as inspiration and guidance to become advocates for children. Woven seamlessly into the book's engrossing narrative are Rev. Sykes' victories in appropriate and landmark biomedical treatments for her son, the success of empowered parents to enact state bans on mercury and to approach Attorney Generals across the country, attempts to find precious allies against a corrupt and protected industry, and her family's lawsuit defeat against a pharmaceutical company. As a Princeton Theological Seminary graduate and Richmond, VA minister with pastoral duties for 19 years, Rev. 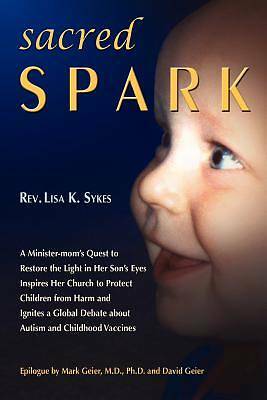 Sykes inspires the reader to go beyond compromised scientific studies and profit-driven political debates, and examine the mercury/autism issue through the first-hand experience of a mother and the faith and conviction of a minister. Sacred Spark ultimately teaches us that it is ordinary people who ignite the fire of reform.